OpenOffice is almost as widely used as Microsoft Word. However, there is much less converters for ODT files than for DOC. Developing ODT to HTML C# converter from scratch is a difficult task that becomes much simpler with the use of Total Doc ConverterX. This SDK kit provides ready-made converting features that can be ported to a program written on C#, ASP.NET, PHP and other programming languages. Basically to convert ODT to HTML no GUI is provided, as well as for other modes. All conversions are enabled via command line, in multi-user mode. Users send a command to a web server, where Total Doc ConverterX is setup, and get converted files stored by predefined location. All settings are defined by ODT converter command line parameters. You can simplify this by creating a user interface for your converter. You can easily build conversion features into a graphic interface with the aim of ActiveX. 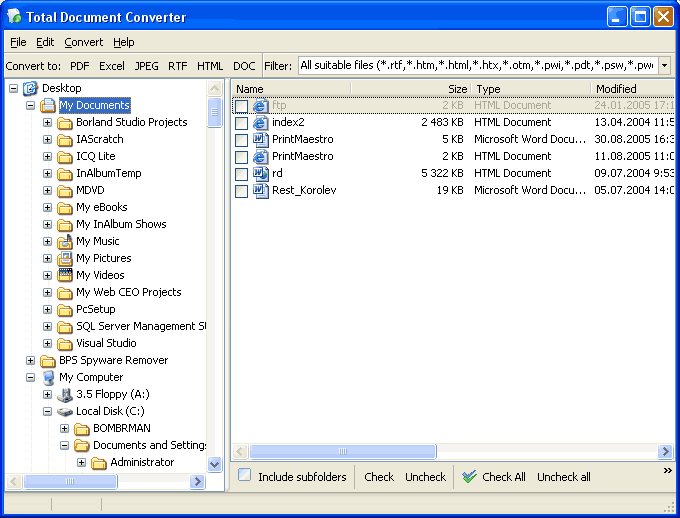 In this way you can also add converter to some existing application. 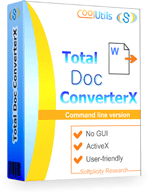 If you are building ODT to HTML ASP converter from scratch, you can use the full code of Total Doc ConverterX, slightly adjusting it for your needs. Taking into account that this ODT HTML server converter supports batch conversion and features numerous useful add-ons, it is fully enough to make your converting application maximally useful and efficient for end user. It is a perfect SDK tool for ODT to HTML PHP converter too, serving as a converting library. Download it here.